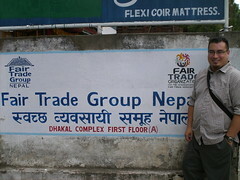 At FTG Nepal, I’m working in their meeting room which is great because I have lots of room (not to mention a ceiling fan ). 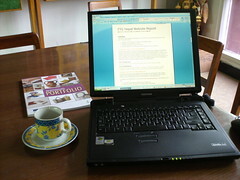 I have had no problem using the laptop I brought – in fact they have a powerbar that lets me plug in the laptop without any sort of adaptor (the power supply is already 110-240W compatible). For Internet access I either dial in directly on the laptop, or I have also connected by ethernet to their office network which shares a dial-up connection. Your office looks like a little piece of heaven! I’m glad things look like they’re going so well for you over there. We miss you back home! 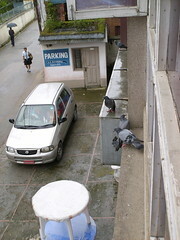 pigeons (Parewa in nepali) looks great. 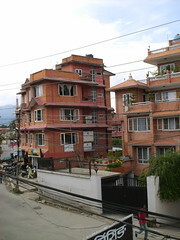 I am so happy to see Nepal’s picture in your blog. keep on posting.